Thankfully, as I write this, it is 50 degrees and sunny outside-finally. But, as you well know, this week has been a true testament to Michigan weather. We’ve experienced it all: snow, rain, hail, sleet, sun, wind. You name it. In fact, just this week alone 25 Major League Baseball games were postponed. 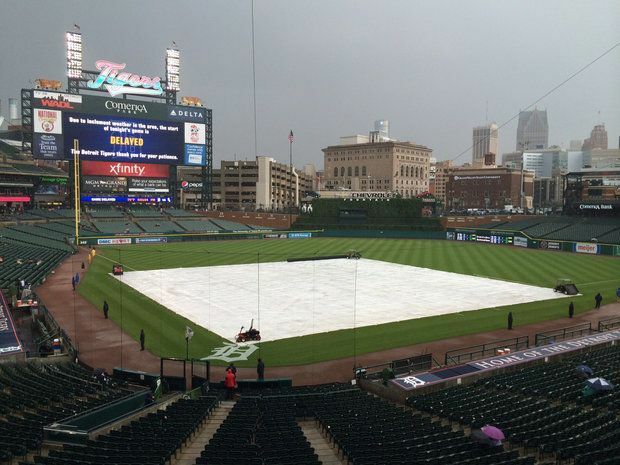 The Detroit Tigers are in the lead with six-game postponements due to this bizarre weather. Unfortunately, the weather also affects plans throughout the City of Auburn Hills. 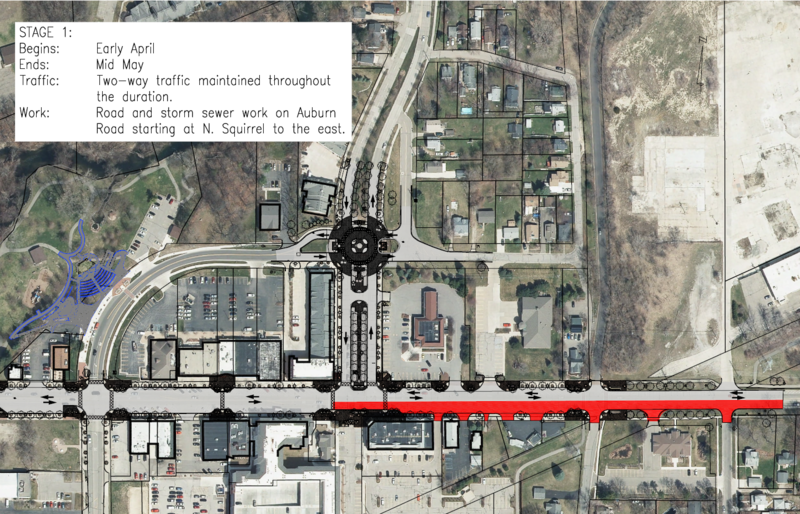 Due to the recent snow and cold conditions, the Auburn Road Rehabilitation Project will not begin construction until Monday, April 30th. Next week, you may see crews out and about setting up signs and traffic controls, but work will not begin until April 30th. See the photo below for the first phase of construction which is expected to take approximately one month to complete. If you have any questions regarding the construction, please feel free to contact me at sseimer@auburnhills.org or 248-364-6806.